Still slightly weary from the journey the Army team took to the field for their first match on Australian soil. The match got underway with a dream start. The Army had won the toss and elected to kick off. Gemma Rowlands (Army 15) sent the ball deep into the Sydney half. Despite a clean take and good recycling from the Sydney pack, fierce tackling and concerted pressure from the Army led to a stolen ball and Army possession deep within Sydney territory. Clean, quick hands opened the way for Winger Alex Coxan to open the scoring for the Army with a well worked try on the far left hand side of the pitch. A difficult conversion was missed but 60 secs in, the Army lead 5-nil. Sydney restarted and followed up with good pressure onto the receiver. A knock on ensues. First Scrum to Sydney. The scrums appeared evenly matched. Sydney won their own ball and took the attack to the Army pack. Poor discipline from the Army resulted in a penalty to Sydney but they opted to tap and go rather than go for posts which gaves the Army the opportunity to turn them over and clear their lines, however, more penalties resulted and Sydney retained possession. The Army defended impressively with fierce tackling and over 5 mins of possession in the Army half resulted in no points for Sydney. A blood injury gave the Army time to regroup and regain their focus. However, not for long, a poor clearance kick from a scrappy line out gave Sydney possession. They made the most of it and punished the Army with a well worked try in the corner. The conversion was missed. 10 mins gone and the scores were tied 5 all. The Army responded well. Sydney took the restart cleanly and despite some good running and recycling by Sydney, ferocious counter-rucking by the Army paid off and they regained possession. Great vision and some individual brilliance by the Army No 15 to exploit the space on the right wing, she sold the last of the Sydney defence a cunning dummy and scored a top quality try under the posts which she then converted. Army lead 12 – 5. Sydney upped the tempo and another clumsy response by the Army to the restart put the Army under pressure deep in their own half. 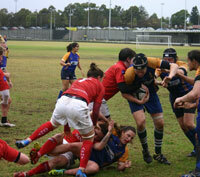 However, the Army quickly make amends and prevented Sydney from getting the ball to ground resulting in an Army Scrum. 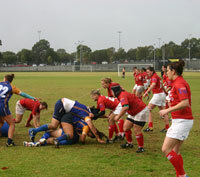 A knock on from the Army resulted in a Sydney Scrum which Sydney could not capitalise on. The Army snaffled the ball and Army Skipper No 12 (Cpl Sarah Mitchelson) lead the charge up to half way. 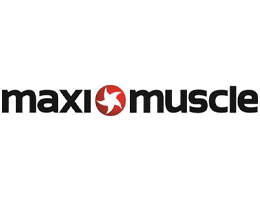 The Army pack began to dominate the scrum and provide an excellent platform for Scrum Half Nancy Kuva to launch wave after wave of Army attacks. However, Sydney rose to the challenge and upped their defensive efforts. Despite excellent play the Army struggled to convert pressure into points. 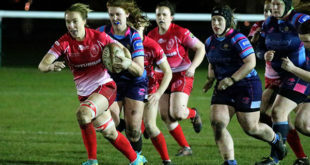 Undeterred the Army attacked again, Army No 7, LCpl Jane Leonard (making a return to Army rugby after 11 months out following a knee injury) broke clean and put No 12 (Sarah Mitchelson) into clear space. Desperate but effective scramble defence from Sydney prevented the try but not for long. Jane Leonard once again sniffed an opportunity from just inside the Sydney half and this time went herself. She scored an outstanding individual try and confirmed that she is definitely back on the road to recovery. The conversion was missed, halftime ensues. The score read Army 17 – Sydney 5. The second half saw the Army Head Coach WO2 Dean Lewis make significant changes to inform team selection for the Australian Combined Services fixture in 4 days time. Sydney also made some changes – predominantly in their back line. Sydney restarted the match and once again the Army failed to take the restart cleanly. Sydney immediately ramped up the pressure on the Army and the changes in the Sydney back line signalled danger. Sydney worked the scrum well but the Army defence was strong and an Army line out resulted. A good line out restored order, but Sydney were rewarded for their continual pressure, a clearance kick from the Army was charged down by the Sydney No 7. The Army try to scramble their defence but quick recycling and clinical precision by Sydney resulted in a try in the left hand corner. The conversion was missed. Army 17 – Sydney 10. More Army substitutions were made and the Army continued to face a barrage of attacks from the Sydney pack. 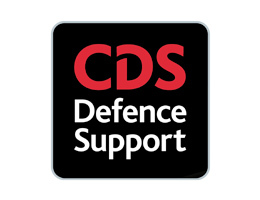 An unusual gap in the Army defence and a missed tackle rewarded Sydney and soon the scores were tied at 17 – 17. The Army responded well, but Sydney now have a whiff of victory and continued to conduct wave after wave of attack. The Army stood strong and defended as though their lives depended upon it. A Sydney indiscretion resulted in an Army penalty and an opportunity for the Army to draw breath. A sound kick for touch took play in to the Sydney half, but a lost line out resulted in possession swinging back to Sydney and more pressure onto the Army defence. Careless mistakes from both teams lead to a plethora of scrums and line outs with no decisive outcome. With ten minutes to go the Army gained a penalty deep in the Sydney half but opted to tap and go rather than take the points. The decision proved costly as the Army attack was snuffed out by a tiring but determined Sydney defence. An opportunity wasted but all was not lost. 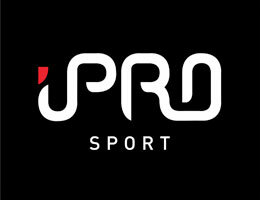 The Army were awarded a scrum approximately ten metres out from the try line, which was soon turned into another penalty. This time the decision was made to take the points and Lt Gemma Rowlands secured the three pointer for the Army. 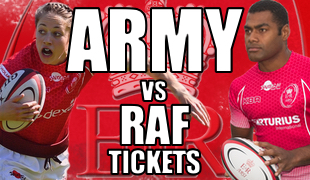 With 77 minutes gone, the Army lead by 20-17. However, the game had a cruel turn left to take. 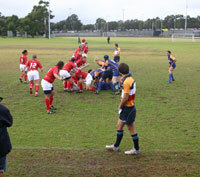 The Sydney restart was deep into the Army half and again the ball was not taken cleanly resulting in a Sydney scrum. A penalty resulted and Sydney were going for the win. They kicked for touch 5 metres from the line. The line out was good and lead to a Sydney try. They took the lead for the first time in the game with the last play. Army 20 – Sydney 22. The conversion was missed and the final whistle was blown. All in all, a disappointing result but an excellent game and more importantly an opportunity to blow away the cobwebs from the journey. Bring on the Australian Combined Services on Thursday.